LOCATION - LOCATION - LOCATION - Just 2.5 blocks from the sand and bike path you find this amazing 2 unit duplex that feels more like individual townhomes. This property is perfect for an owner user as it is a rare find to have two large 3 bedrooms 2 bath units mix. Both units are very large, and have an amazing layout that provides privacy and convenience. The duplex have been remodeled with newer cabinets, granite countertops, stainless steel appliances, upgraded windows, fireplace and washer and dryer hookups inside each unit. Both of the units have great natural light and flow along with private patios for outside BBQ's and entertaining. In addition, both have their own 2 car garage with private entrance to the unit. 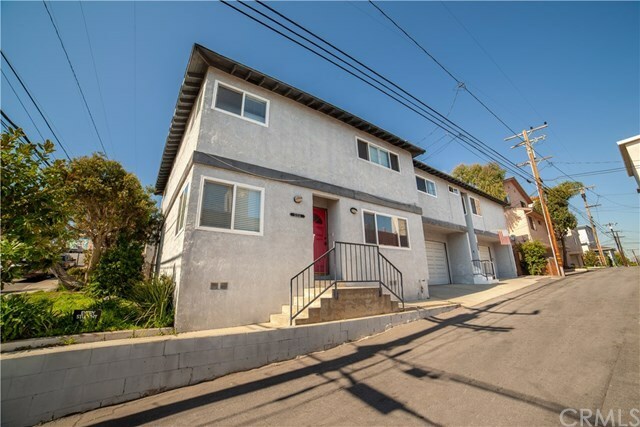 Walking distance to our local beaches, downtown El Segundo, restaurants, shops, parks and award winning schools makes this duplex a highly desirable property now and for years to come. Directions: Closest cross steet are Whiting St.